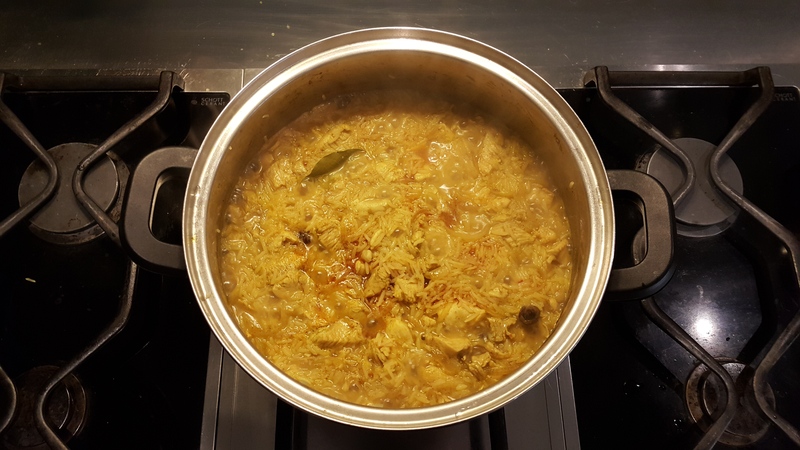 Some ten years ago, I was treated to some homemade chicken biryani in India and it was one of the most bittersweet experiences of my life. Shovelling fingerful after fingerful of the delicious yellow rice into my mouth, I had to hold back the tears as I wondered whether I’d ever visit that beautiful country again and taste “real” curry. Fortunately, it turns out that I don’t actually have to travel 11,963 kilometres to India for a decent biryani. For Father’s Day this year, I decided to cook up the dish for my old man (partly because he likes Indian food but mostly because I got tired of getting him shirts from Barkers year after year) and the whole family. The end result, it’s safe to say, has to be the apex of my cooking career to date. 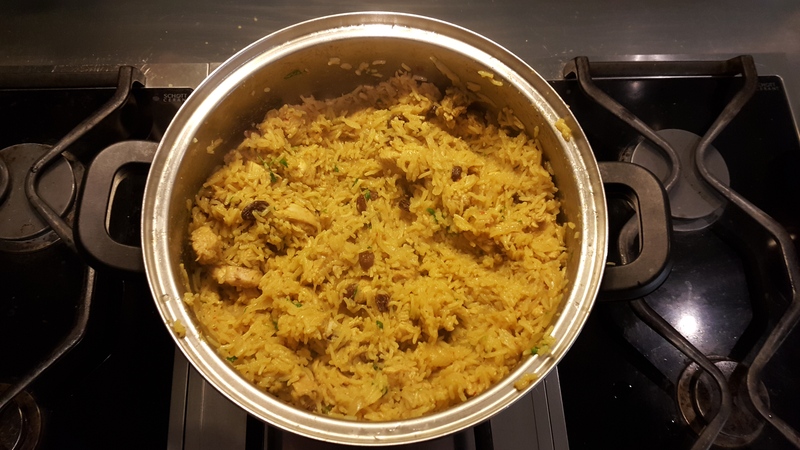 An absolutely wonderful biryani, with the rice fluffy and cooked to perfection, the chicken juicy and succulent, and the most intricate interplay of aromas and flavours to top it all off. 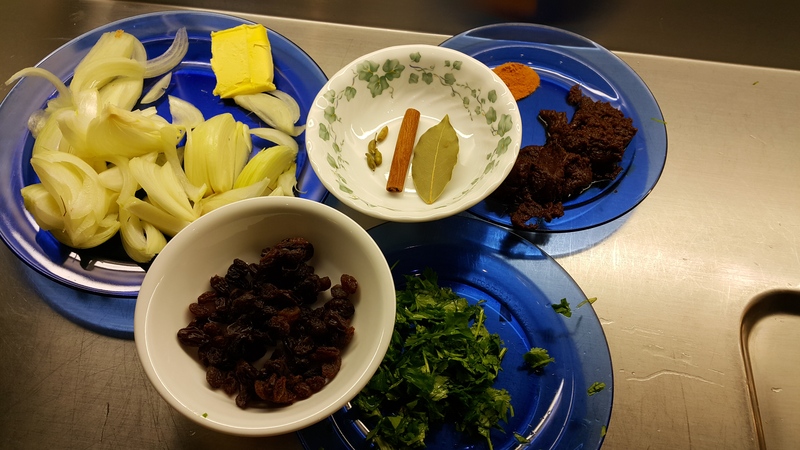 Being a relatively complex dish to make, there’s a fair bit of preparation that goes into a biryani, so you want to make sure you start nice and early. First, rinse your basmati rice a few times until the water runs clear, then soak it in warm water. You don’t have to leave it in there for ages – 30 minutes to an hour should do the trick. 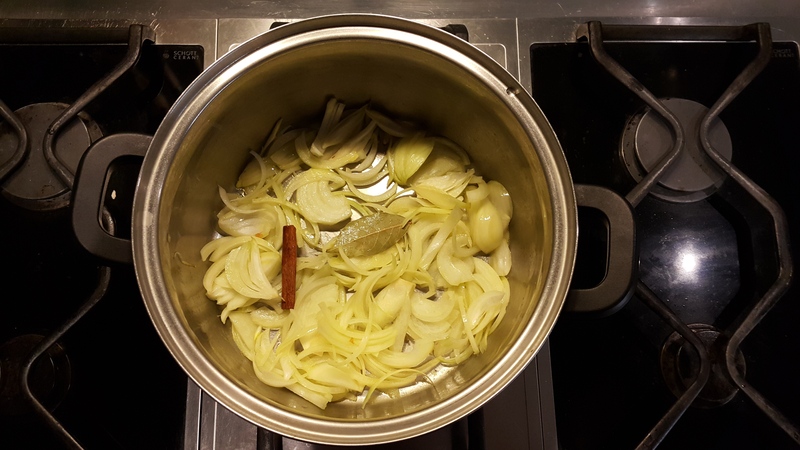 Next, cut your onion into fine slices and get your spices ready – a bay leaf, a cinnamon stick, turmeric and several cardamom pods. 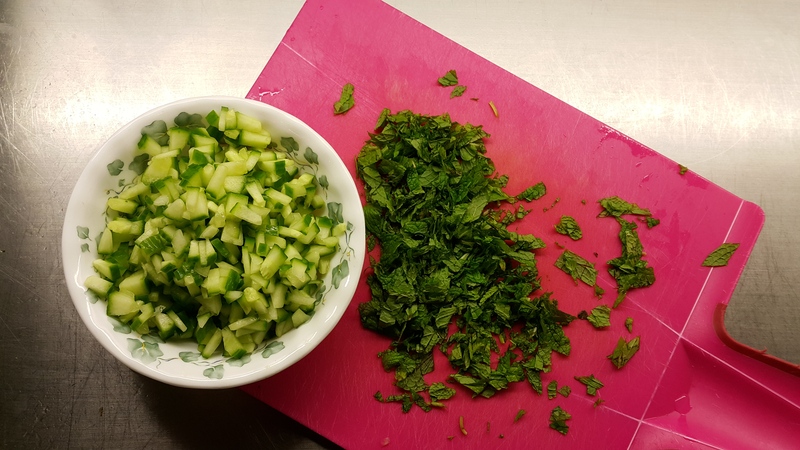 Chop up some of your coriander, ready to throw into the mix toward the end. At this point, it’s also a good idea to lightly toast your sliced almonds so you can garnish the biryani with them once it’s done. Lastly, set aside a handful of raisins, then you’re good to go. All chopped up and ready to go. Melt some butter in a saucepan, then throw in the onions, bay leaf, cinnamon stick and cardamom pods and cook until golden. From the moment you put these ingredients into the pan, you will notice the aromas of the spices burst to life. Who knew a dried leaf could be so useful. 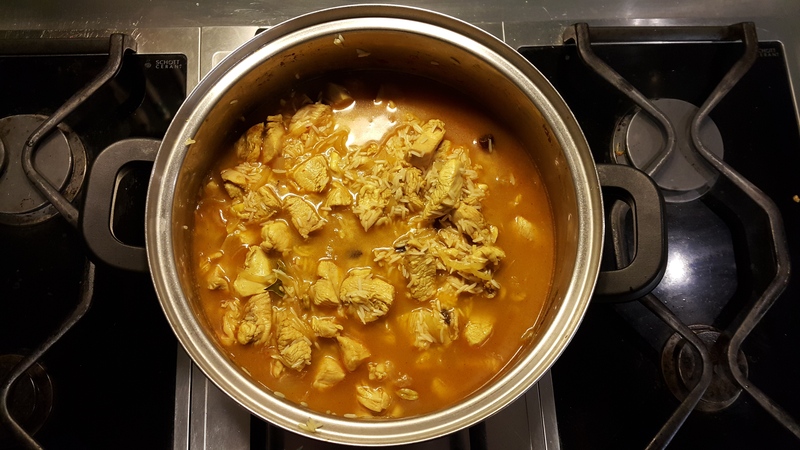 Once the onions are nice and soft, add the turmeric, chicken and a good dollop of red curry paste, mix together and cook until the chicken is somewhat done. Already starting to smell divine. 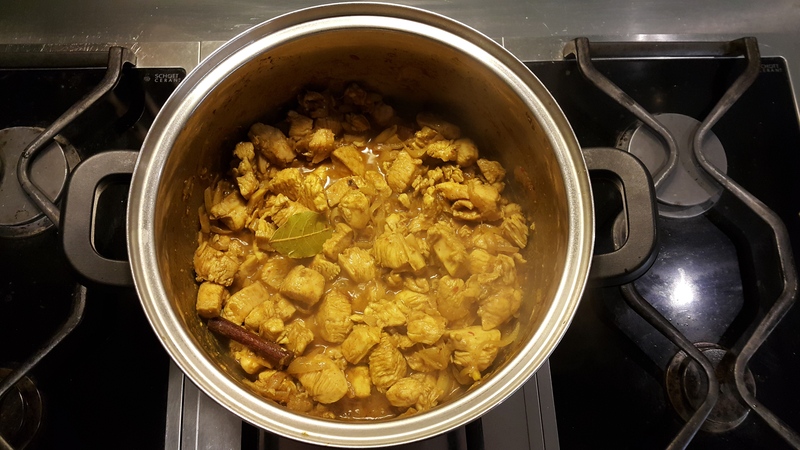 By now, your kitchen will likely be consumed with the irresistible aroma of curry chicken – but hold onto your chapatis because we’re only getting started. When the chicken is nearly done, the pan is smelling amazing and you’re starting to contemplate living in India for the rest of your life, add the soaked basmati rice and raisins. Stir nice and evenly so all the rice is coated with the mixture, then pour in the chicken stock. Feat. rice, raisins and stock. Put the lid on the pan and turn the heat to maximum, bringing the liquid to a good, steady boil. Don’t let it boil too long though – drop the heat the a minimum straight away, then let it simmer for about five minutes or so. After five minutes, turn the heat off completely and let it sit and cool for a bit. Don’t sit there twiddling your thumbs though, because there’s one final step in the process. Almost done and looking good! Raita is that cool, yoghurty sauce they serve with really hot curries at Indian restaurants, and it goes perfectly with a biryani as well. It’s so simple to make it’s actually ridiculous. Just seed and dice half a cucumber, wringing out the excess moisture. Chop up a handful of mint leaves, then throw everything together into some plain, Greek-style yoghurt, adding salt to taste, and stir well. OK, back to the biryani. 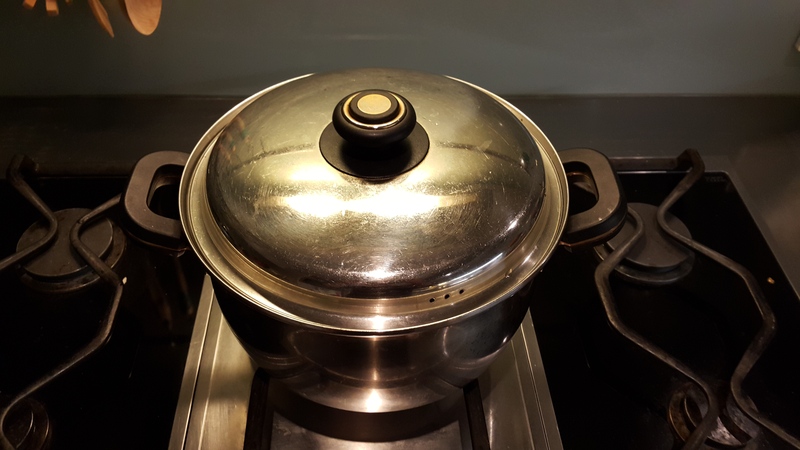 Remove the lid and give it a good stir – the rice should be soft and fluffy, not too wet and not too dry. Stir in your chopped coriander, and you’re pretty much done. 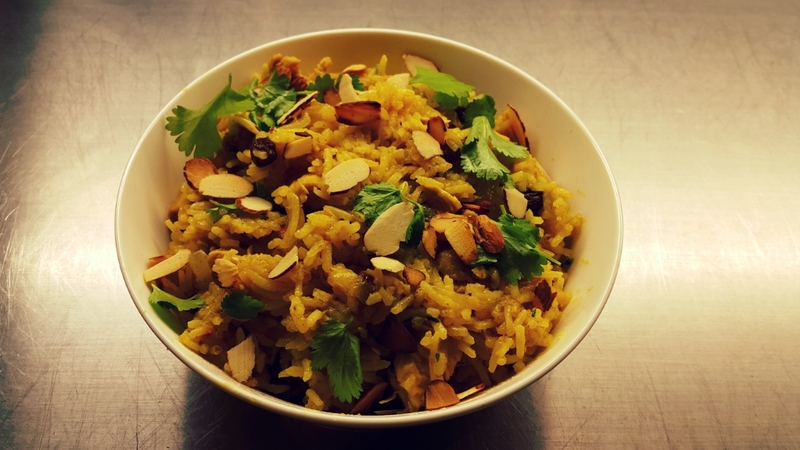 Garnish with some whole coriander leaves and toasted sliced almonds, and serve. As I mentioned earlier, this is probably the best thing I’ve ever done in a kitchen. A perfectly cooked biryani is like a top orchestra playing on form, with each instrument playing its part in a beautiful harmony. 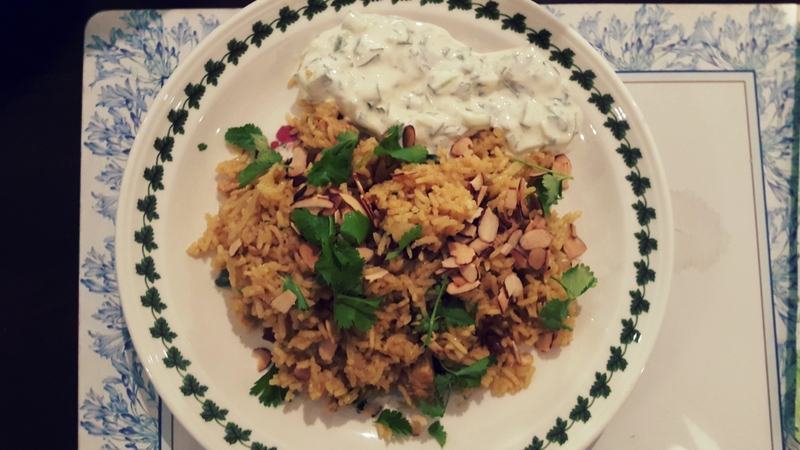 From the aromatic, spicy curry base and the subtle sweetness of the raisins, to the powerful tang of the coriander and the nutty, earthy flavour of the almonds, it’s amazing how one dish can pack so many senses. 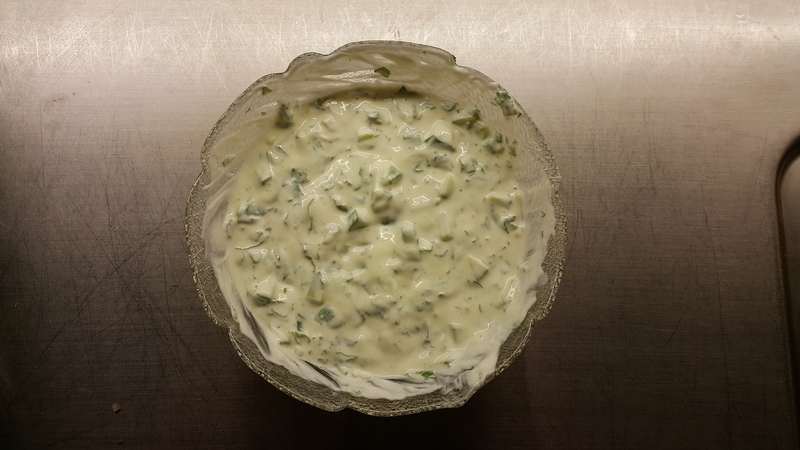 The cool crispness of the raita adds another element to the whole experience. My primary school’s motto was “Act Well Your Part”. Well, all the ingredients here are acting their part pretty damn well, if you ask me. The good thing is that biryani is much easier to make than it may seem. As with any rice dish, all you really need to be careful with is how much water (or stock, in this case) you use. 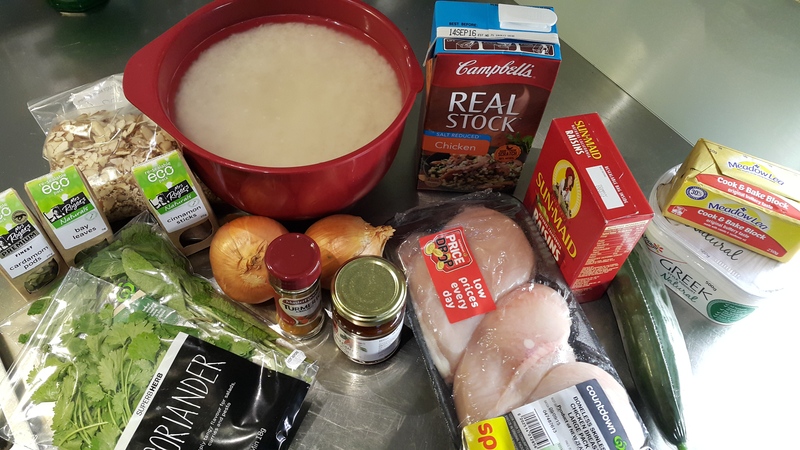 As a basic guideline, one litre of stock should be enough for one kilogram of rice.